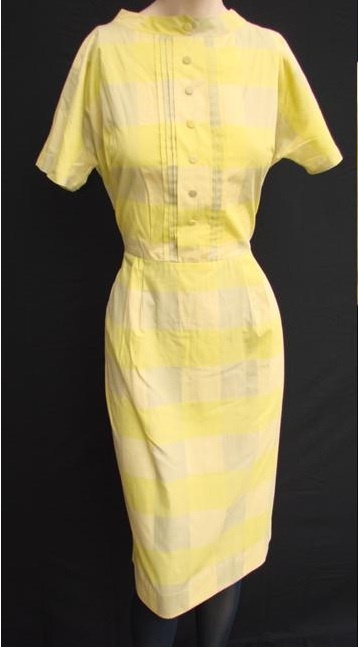 Thanks to Claire for the link … click on the image to visit the eBay auction for this dress. I cannot figure out what happened with that darn Paypal button from yesterday. Obviously Paypal hates me, but if you still want to donate via Paypal, you can use the email address on this page … and because of an "off-widget" donation, we're really at $1320 (not $1220) right now! Less than $200 to go! Remember a while back I was going to announce something (I thought was) cool? 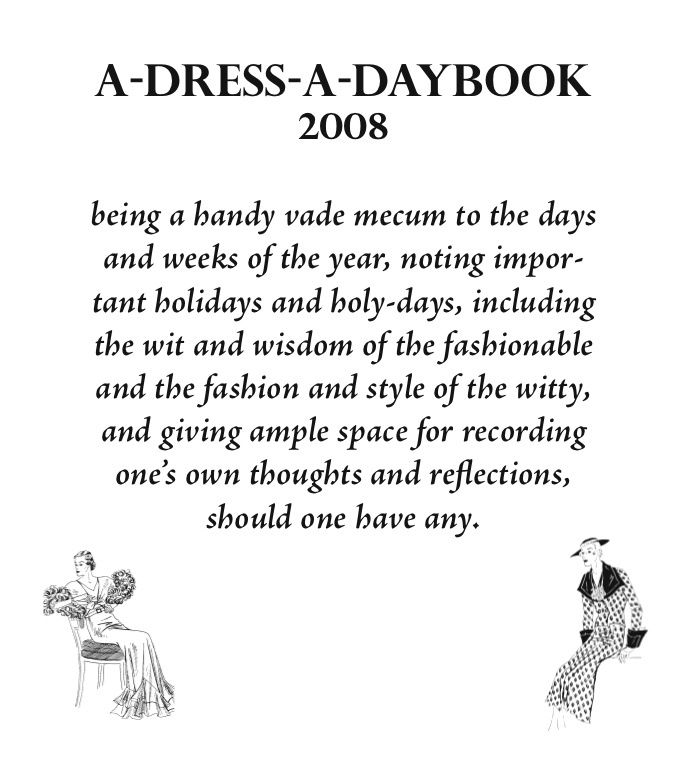 Well, after much not-working-on-it delay, I've finally finished it: a 2008 Dress A Day daybook. Some caveats: I haven't gotten my copy yet, so I don't really know how it looks, but other Blurb books I've seen have been nice. Today's the last day to order for Christmas, with hugely expensive next-day shipping. I highly recommend you don't do that, honestly. There aren't a lot of pictures in the book. At all. It's just quotations I liked. If you don't want to order from Blurb, but you still want one, here's a PDF file … it's under a CC license so go ahead and take it to Kinko's or wherever; you might have to do some messing around with the imposition to get it to print all nice, but have at it! If you make a fancy cover for it (the pdf is just the innards) please send me a picture, okay? As promised, here's an "incentive drabble" to help push this year's donation campaign (for homeless women veterans) along … once we hit $1500 in donations (and due to donations outside the widget, we're at $1250 right now, so there's not that far to go) there will be a full-length Secret Lives posted *and* drabbles every day from the day we reach the target to Christmas. I thought she wasn't going to be bold enough, when she chose me. She should have chosen my sister, in red, or even had me dyed black. And the bows … I've always been self-conscious about those bows. So when the time came, and they were at her door, I was surprised when she invited him in for "one more drink." And even more surprised when I was ditched for something "more comfortable." (I am comfortable!) So, no, I don't know what happened next, but, then again, even if I did, a lady never tells (and a gentleman never asks). All her novels revolve around the same romantic linchpin: that marriage is sacred (she was a devout Catholic). I may snort at the plots that seem to tie up neatly with the convenient death of the bounder who is making the heroine unhappy (or, conversely, with the heroine's selfless realization that the bounder is her burden to bear and that her happiness will come, masochistically, from cooking that same burden hot dinners) but I really read them for her wonderful descriptions of the clothes and food of California society from the turn of the last century to the 1940s. Ella thought her handsome, in a rather bold, savage way. Victoria was dark and rosy, with flashing eyes and [a] vivacious, almost nervous manner. She wore a dress of dark blue cloth trimmed about the high collar and wide cuffs and about the thick panniers of the skirt with scallops of gray silk, and a high straw turban turned back sharply from the face with two triangles of brim and massed with roses. 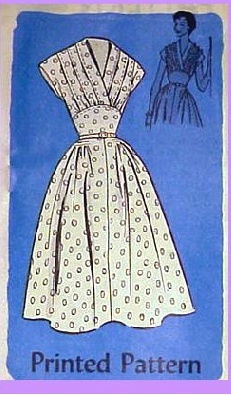 This somewhat elaborate dress was snugly fitted into a narrow waist line; Victoria wore tan kid gloves, and high scalloped boots of tan kid. Her forehead, like her mother's, was covered with curled hair, and bangles jangled on her wrists, about her neck was a long gold chain that held the little watch that was thrust into her bosom. 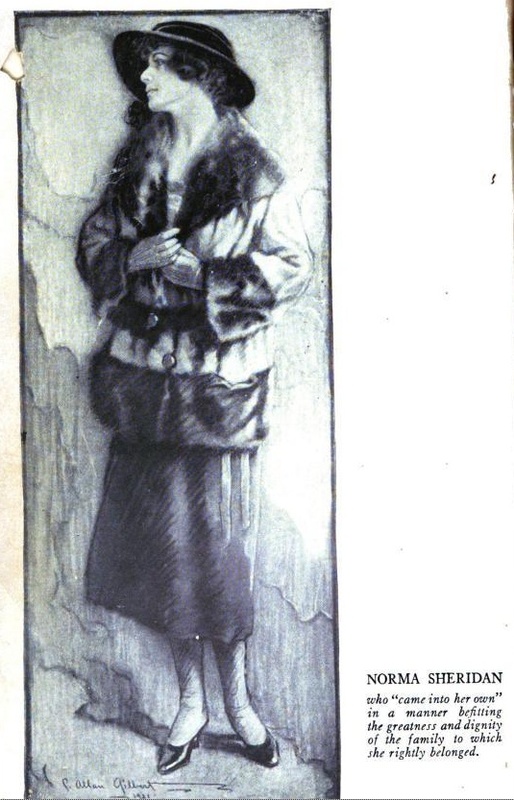 She was twenty-one. actual dinner at all, and it's all so fussy!" Norris has a way of writing about dimity ruffles and oyster stew and silk "Chinese" pajamas that engender such a longing for you in those articles that it's hard not to book the first seat on the next train (not plane, mind you) to San Francisco, where, in her books, all these things are in such oversupply that it's the rare young woman who doesn't have at least two, if not all three, in her possession. If you have a little time (and don't mind reading on-screen) go ahead and click. And, in fundraising news, a couple of folks have asked me to set up a Paypal button to donate; I don't mind doing so — are there other people interested? If the widget below doesn't work for you, here's the link directly to the ChangingThePresent page …we're up to $1000! Thank you! 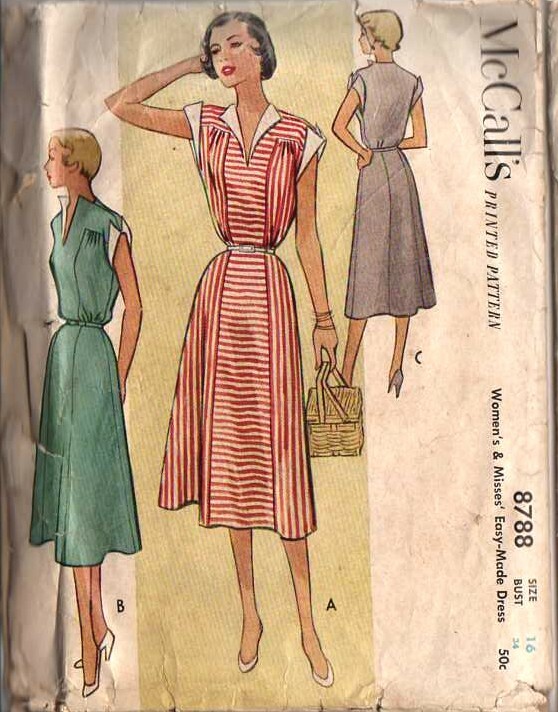 There are two things I really like about this pattern (from Michelle, at Patterns from the Past). 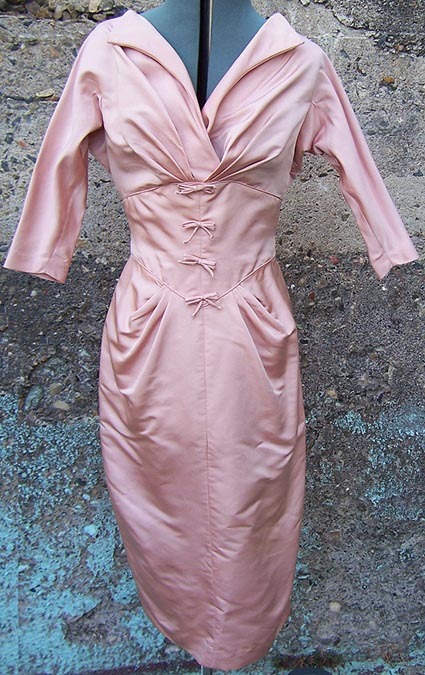 The first is the implication that by making this dress you, too, will be first cloned, then admitted to the all-girl replicant-cyborg-robot pastel army (as an NCO). The second is the scribbling all over the pattern. I really do love buying patterns that show evidence of use. Some folks might like factory folds, but I like tape, pencilled notes, and random newspaper cuttings in MY patterns (bonus if the newspaper cutting is a recipe for Jell-O "salad" or any kind of waist-reducing calisthenics). 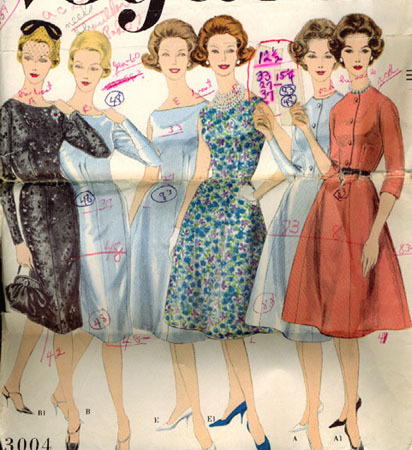 The markings on this one seem to show that the original owner was DETERMINED to make six identical dresses, don't they? Maybe she was a chorine? Maybe she needed to make dresses for her synchronized-swimming team's awards banquet? Or maybe she was a sextuplet! I don't know, obviously, but I love to speculate (even more obviously). What do you think these markings mean? Extra points for dragging in any of the following: The Knights Templar, the NBA, the gold standard, and colony collapse disorder. Have fun! Here's today's widget … and just to encourage you further to donate, I have that Secret Lives all ready and waiting for us to hit $1500 ….